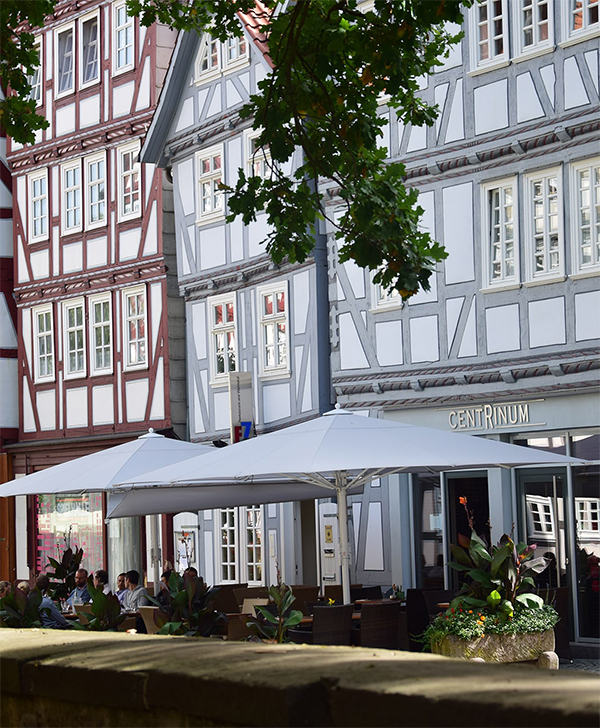 The restaurant in the CENTRINUM Altstadt-Hotel leaves no stone unturned to satisfy your palate. We are open daily for you. from 11.30 a.m. until 2.00 p.m. Kitchen from 11:30 a.m. - 2:00 p.m. and from 6:00 p.m. open. For special requests or visits in groups, we look forward to your prior registration. You have the choice between different dishes from our lunch, season or main menu. From classic dishes to extravagant and unusual dishes, everything is possible. Enjoy our seasonal and local selection. Our main menu serves every taste with timeless dishes. Arrange your event in the CENTRINUM Altstadt-Hotel and let our chef put together an individual menu in consultation with you. Through close consultation with you, we can respond to your special wishes and determine the ingredients to be used in order to serve all your guests a menu of the accustomed quality. Enjoy the summer in our cozy beer garden. Besides our high quality menu we offer a selection of local beverages. Meet nice people, sit together, have a drink or a meal - our small, stylishly furnished restaurant "F 7", door to door with the CENTRINUM, you will quickly appreciate as a pleasant meeting place. In the warm months tables in front of the house invite you to "see and be seen".